Self-driving vehicle technology is not yet at a stage that it can be authorized for use by the public for general driving, according to a U.S. Department of Transportation recommendation to state governments. If a state decides to permit operation of self-driving vehicles other than for testing, at a minimum it should require that a person licensed to drive self-driving vehicles should be seated in the driver's seat, the National Highway Traffic Safety Administration said in a preliminary statement of policy on automated vehicles released Thursday. The licensed driver should "be available at all times in order to operate the vehicle in situations in which the automated technology is not able to safely control the vehicle," it said. "As innovation in this area continues and the maturity of self-driving technology increases, we will reconsider our present position on this issue," the agency said. Any potential regulatory action must balance the need to ensure motor vehicle safety with the flexibility to innovate, it added. The policy statement from the U.S. road safety agency comes at a time when Google and other companies are testing cars that drive themselves. The agency recognized the potential of new automation technologies for automotive travel, stating that its benefits could go beyond safety to also fuel-efficiency. Intelligent route selections based on weather and traffic data received by the vehicle in real time, and control systems that automatically accelerate and brake with the flow of traffic can help conserve fuel, it added. "We are introducing autonomous vehicle technology to improve people's lives by making driving safer, more enjoyable, and more efficient. We have already driven over a half million miles and expect the technology to continue to progress rapidly," Google said in an emailed statement which did not directly comment on the NHTSA's recommendations. The NHTSA has been asked by states and companies for recommendations on how to test safely the new automotive technologies on public highways. A number of states including Nevada, California and Florida have permitted testing of self-driving cars, but the NHTSA does not recommend that the states attempt to establish safety standards for self-driving vehicle technologies, which are in the early stages of development. Until the NHTSA comes up with its own safety standards, the agency recommends that states insist that self-driving cars being tested have the capacity to warn the driver if the system malfunctions, and ensure a smooth and quick shift from self-driving mode to driver control. States are also asked to ensure that driverless cars do not disable safety systems and features required by the federal government. The policy statement by the NHTSA is only a recommendation at this point. It defines five levels of automation in vehicles, ranging from no automation at zero level through automation of specific functions at level one, combined function automation at level two, and limited self-driving automation where "the driver is expected to be available for occasional control, but with sufficiently comfortable transition time" at level three. 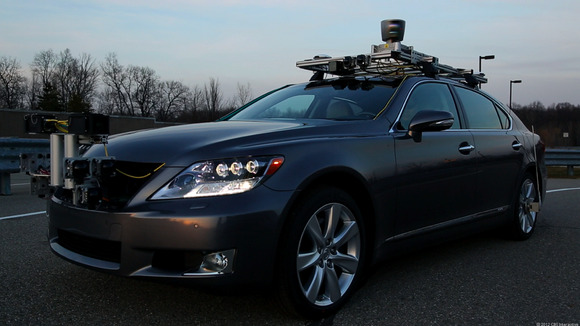 In full self-driving automation at level four, the driver will provide destination or navigation input, but is not expected to be available for control. The agency said it is not aware of any systems intended for wide scale deployment currently under development for use in motor vehicles that are capable of level four automation. "As we stated previously, very few Level 3 automated systems exist and the systems that do exist are still at the earlier stages of testing/development," it said. NHTSA also outlined its research plan to establish standards for self-driving vehicles, should the vehicles become commercially available. The first phase of this research is expected to be completed within the next four years.